Wrap robe has carriers, ruffles and belt with bow/knot and Velcroandreg; closing. Top has narrow hem. A and B: pockets. C: shaped hemline, wrong side shows. A, B and C: collar variations and extended shoulders. Pants have elastic waist. 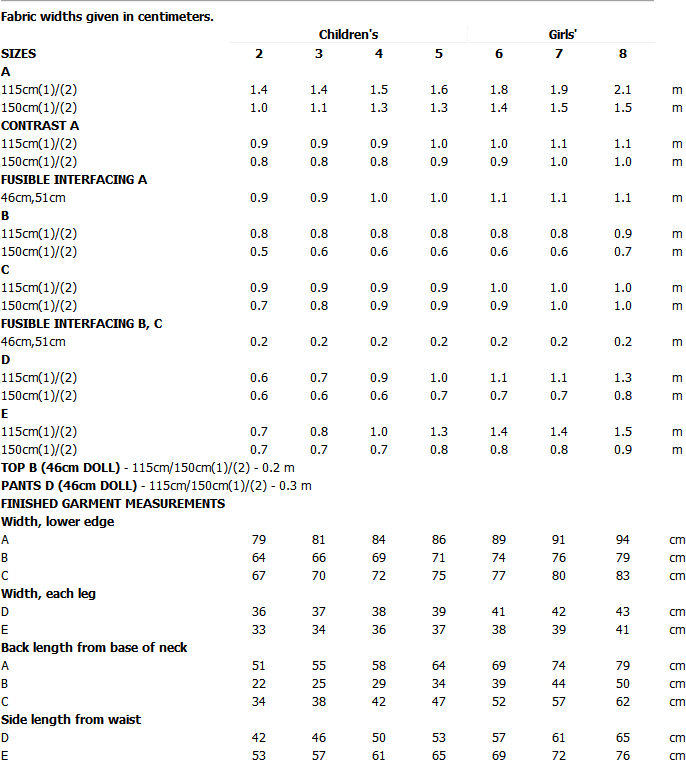 A, D and E: stitched hems. Designed for light- to medium-weight woven fabrics.